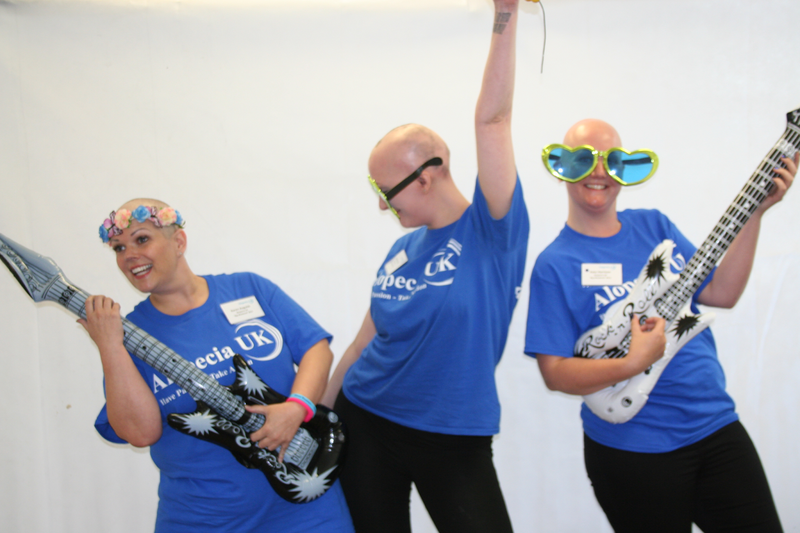 So, as most of you will be aware, September is Alopecia Awareness Month! A time to speak openly about the condition, raise awareness and show support to those going through tough times. I relish it! I also thought it was a prime opportunity to grow as a person, push my boundaries and spend the whole month hair free! This decision was inspired by other fantastic people who spend each day being themselves, completely true to who they are. Embracing that they're "different" and accepting their condition. I've briefly spoken before about how I've learned to become comfortable in my own skin (see Love Is In the Air? 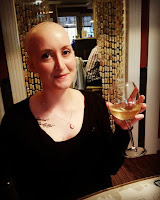 http://prettybaldonline.blogspot.co.uk/2015/02/love-is-in-air.html) but I don't think that was wholly true... because while I'd share pictures of myself online via Instagram, Facebook and Twitter of me being hair free, I spent the vast majority of my time in public with the shield of my wig. As at 31 August, the only time I'd gone au natural was at the gym and while attending Alopecia UK events (which you guys should go to!). So, I took a vow to spend the whole of September wig free and "Pretty Bald". This was no easy feat. However, when Tuesday 1 September came around...I completely rocked it! For the first time EVER, I went to work wig free. 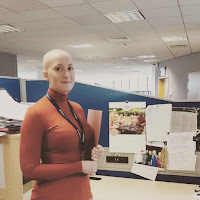 I had spoken to my team the day before to let them know my plans - this was my way of controlling the situation and their reactions, I didn't want the "oh, you're not wearing your wig" comments, I just wanted everything to be as normal as possible - and it really was. 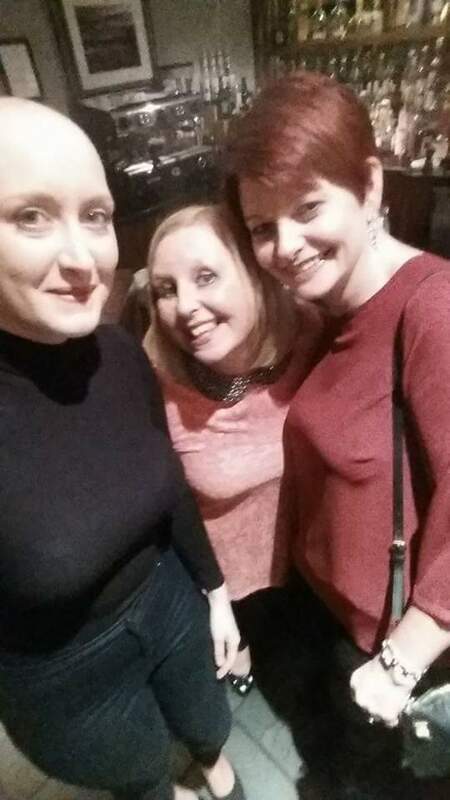 I need not have worried in the slightest as everyone was extremely supportive and I received some quite lovely words of encouragement from colleagues in the wider firm, who I don't see every day, that wanted to let their support known. That day, in fact, I received two free tickets to see Priscilla, Queen of the Desert at Sunderland Royal Theatre so threw myself right in to the opportunity of spending the evening in a very public forum bearing all! The whole day and evening was fantastic, I instantly wished I'd done it sooner! 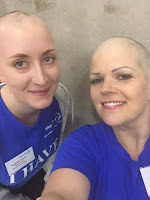 ﻿﻿﻿﻿﻿﻿﻿﻿﻿﻿﻿﻿﻿﻿﻿﻿﻿The whole of Alopecia Awareness Month was an exciting, eye opening and ultimately life changing time for me. I went wig free, I attended the Alopecia UK Big Weekend in Manchester, had my first night out hair free and I ran the Great North Run! 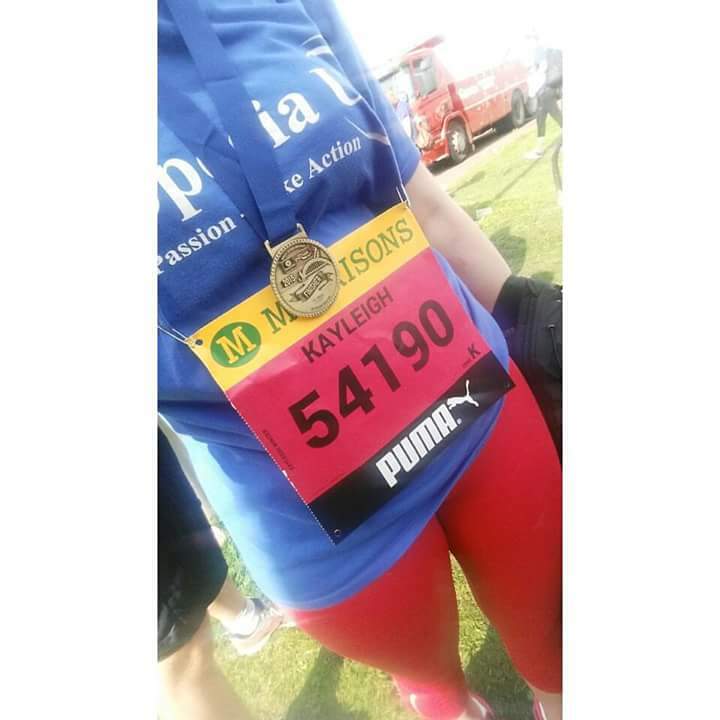 Each event brought with it a slight anxiety but I overcame each obstacle. I couldn't have done that without the support of loved ones, friends, colleagues and even strangers! These are the people that can help you too, should you need it. I implore anybody who is holding back to just go for it! Live your life the way you want to. Don't feel pressured to look a certain way. The work of alopecia charities and individuals raising awareness of the condition is fantastic and it brings us closer every day to having the condition "out there". There is no such thing as "normal" now. We're all unique and that should be celebrated and appreciated.